At birth Jaden had a hearing test like all newborns in our state and he failed; two weeks later he had a repeat test and he passed (or so we were told). The next several months went by without incident but at about 9 months, I felt he was not developing the way he should. Jaden was making milestones but later than most kids do. At Jaden’s one year check-up I brought up my concerns to his pediatrician. it was shortly after this that Jaden began Early Intervention services. Jaden began basic skills, physical and speech therapy. Closer to 2 years of age Jaden also began occupational therapy. 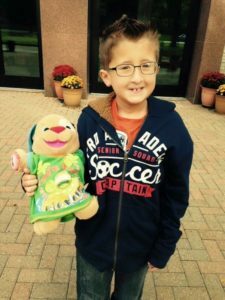 Jaden’s days became filled with what I call “structured play”; every day of the week sometimes more than once a day, Jaden had one therapy or another. It was by accepting the fact Jaden was not quite where he should be and by being willing to allow professionals into our home that we were able to start getting Jaden caught up. 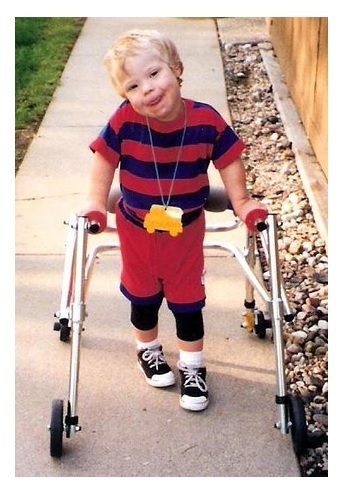 He went from a boy not walking to one who could take steps and eventually run. With the help of his therapists Jadan was making progress in most areas but his speech had not shown significant improvement. Between 1 and 2 years of age, Jaden had 3 hearing tests all of which came back inconclusive. Just after his 2nd birthday Jaden had an ABR and that is when we found out about his hearing loss. 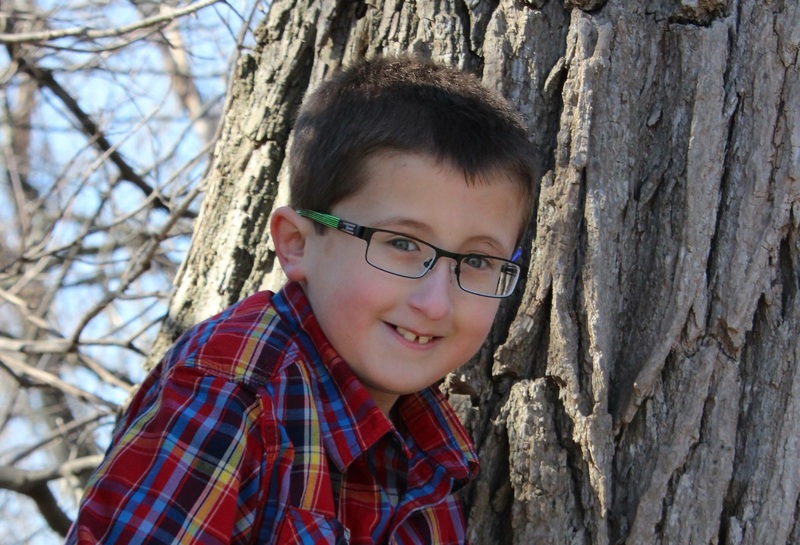 Jaden has a severe to profound hearing loss in his right ear and a moderate hearing loss in his left ear. He was fitted for hearing aids the same day he was diagnosed. That day I was not upset; rather I felt relieved and almost vindicated. I knew there was an issue and now I had the answer; we could begin to help Jaden in ways that we had not helped him before. Finding out about Jaden’s hearing loss is what I call the first half of the puzzle that is Jaden. His hearing loss did not explain all of his quirks, such as low muscle tone and feeding issues, but it did explain why he was not talking. Within a week or two of Jaden being diagnosed we were put in touch with a teacher of the deaf for infants; she was a blessing to our family. She began working with not just Jaden but our entire family once a week and what a difference it made! Jaden started picking up signs right and left; especially signs for his favorite things like milk and cookies. 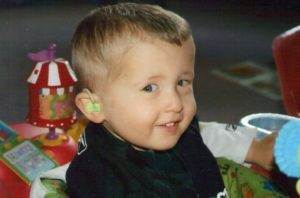 Now that Jaden had hearing aids, with the help of his speech therapist, his speech began to improve too. Okay, so he was not talking yet but he was babbling which is something he had not done before. In January of 2010 Jaden started at Little Listeners Pre-K class at the NYS School for the Deaf in Rome; since then there has been no looking back. Sending our not yet 3 year old son on a bus to a school about 30 minutes away to attend a full day of school was an adjustment for the entire family but it has been one of the best choices we have ever made for him. Jaden was in a small Pre-K class with a wonderful teacher and teacher’s aide. At school Jaden also continued to get speech therapy from an amazing therapist every day of the week along with getting occupational and physical therapy both several times a week from great therapists. It is with the help, knowledge and daily communication that our family had with his team that blessed us with a whole new little boy. During his pre-k years with the help of his teacher and speech therapist Jaden went from a boy whose number of words could be counted on one hand to one who talks and talks and talks. I never thought it was possible but there are days I crave silence; what a wonderful ‘problem’ to have! 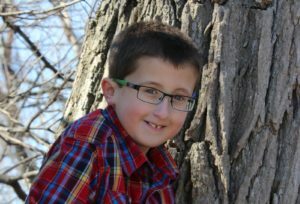 When Jaden was almost 4 years old, he was diagnosed with a genetic condition called 22q Deletion Syndrome; this is the 2nd half of the puzzle that is Jaden. We are fortunate in that Jaden does not have many of the health issues that others with this condition do. Though this was not something I considered to be good news, it is something we are fortunate to know for it explains many of Jaden’s quirks; such as feeding issues which he no longer has and weak muscle tone and fine motor skills which we now know he will likely always have. Over the past several years Jaden has blossomed into a funny, smart, confident and witty little boy in large part thanks to the knowledge that we have been fortunate enough to find out about him and being willing to accept the help and information that others could give us. Today Jaden is 9 years old and in the 4th grade. Jaden’s newest adventure began in September of this year. Jaden has entered a mainstream school setting in our local school district (New York Mills). We are fortunate in that Jaden has many of people rooting for him. Our family has had and continues to have tons of support from individuals that have worked with Jaden in the past as well as those that are new to his team. Jaden seems to be settling in nicely to his new school and he’s even joined drama club and band. I’m sure there will be some bumps in the road as Jaden embarks on this new journey however, we have every expectation that Jaden will continue to thrive and excel at his new school. I think Jaden’s story shows that the saying “Knowledge is Power” is so very true; accept the knowledge that others can give you about your child, embrace it and use it to help your child. For our family, it is the knowledge that we have been given about Jaden, both good and not so good, that has allowed us to help him become the wonderful boy he is today. I went to a Deaf community meeting. No interpreter available for signing impaired people like me. I went anyway, keen to know about the new voting options for the local Deaf Society and new club room plans. I took my kids. One hearing. One deaf. For just a few hours I experienced a little of what it must be like for my deaf daughter in a ‘hearing’ world. I think I understood about 30-40% of what was being signed. Enough, I think, to fill in the blanks with context. Perhaps as much as my deaf daughter picks up when reliant on lipreading when people don’t sign to her or caption TV. I will never know if I did understand so there’s a nagging doubt I missed something, but I think I’m OK. But it was hard. My head hurt so much it is throbbing, still, even as I write this. I concentrated intently on the signing in front of me, unable to be distracted by kids tapping on my shoulder for me to do something. I simply couldn’t multi-task, I had to focus on the people right in front of me. The note pad in front of me, rendered redundant as I couldn’t take my eyes off the ‘speaker’. The distant but loud noise of a builder banging felt out of sync with what my brain was trying to do visually. I had to close the door to help drown out the background interference. My daughter tells me sometimes she just has to take her hearing aids off at school as she cannot focus with them on “mummy they don’t help, its just noise”. Perhaps this is what I was experiencing inside my brain in reverse. I felt compelled to get up and ‘sign’ to the community about something I felt strongly about. I was nervous. As a sign language beginner, with every sign I made, I was conscious that it was far from perfect and desperate that people would understand me. Perhaps this is the same experience my daughter has when she has to stand up and speak without hearing her own voice. Without knowing whether her words sound right and looking for reassurance from her friends to let her know she has been understood or turning to me for assistance with a word she struggles with – just as I had to fingerspell words I could not sign. I looked to the crowd who supported me by signing the word I was stumbling on. But I was vulnerable. The emotion of it all – the subject I was signing about and the way I felt, the tears dripped! 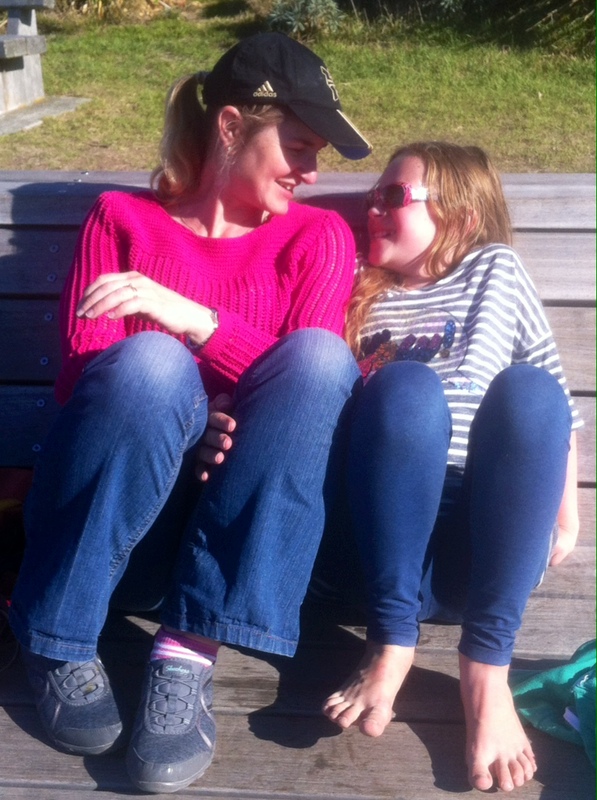 When it came time to leave, my eldest daughter wanted to stay. She was at home. This is not the first time this year I’ve cried at a Deaf community event. A few months ago, it happened twice in a week at events held to celebrateDeaf Aotearoa New Zealand Sign Language week. The first, was a solo outing for me. No kids, no husband. Just me. A special screening of the British Deaf Association film the “Power in Our Hands” hosted by Terry Riley, visiting from England to attend the World Federation of the Deaf – Official Board meeting. It’s a powerful film, complete with captions so people like me can follow. It tells the true story of suppression / oppression of the British Deaf community and the gradual recognition of British Sign Language and deaf culture in British society. The film had captions and the signed introduction by Terry was interpreted. I was challenged by the film but linguistically I was still in my comfort zone. My needs were “accommodated”. However the message of the film was so incredibly powerful it cut me to the core that this might happen to MY daughter. I felt ever so grateful for people like Terry who has been instrumental in the UK to make the deaf voice “heard”. He has been instrumental to the British Sign Language Broadcasting Trust who produce wonderful video directly relevant to the Deaf community (and accessible to people like me with subtitles). I resolved, as I powered down the pavement away from the event, that the “power” was indeed “in my hands”. As a parent I have a responsibility to ensure I do everything to make my daughters’ lives full, and free from discrimination. And to learn more sign. (My daughter is fluent receptively already and has a full time interpreter in her mainstream school where she is the only Deaf child in a roll of 400+. Our family are all learning to sign). In another event that same week, we went to ‘listen’ to Drisana Levitzke-Gray speak – or should I say sign, to a Deaf community event, about her experiences as Young Australian of the Year. There was an interpreter. Again I was moved to tears and compelled to stand up as she shared her experiences of mainstream schooling, rising above the challenges of isolation and her advocacy for children like my daughter. Her message resonated with me, and both my daughters. Again, I strengthened my resolve to be a ‘hearing’ ally. A partner for good. But today with no captions, no interpreter, no ‘signing aid’ and no voice, I had no “accommodation”. I knew there wouldn’t be any, but I choose to go anyway, just as my daughter has had to do every day this week to her wonderful school (her educational interpreter has been away). Except that she doesn’t have a choice, she must go to school regardless, like tonnes of other deaf & hard of hearing kids that don’t have their needs met either. Perhaps they are Cochlear Implant users, denied teaching assistance as they are “cured”, or with an inability to access sign language lessons because the kids are oral and not on the priority list for sign classes. Perhaps they are hearing aid users who are not ‘quite’ deaf enough, but struggle to piece it all together using a combination of lip-reading and technology. Today, it was just me. Laid bare, in a room of people about the same size as my daughters year 6 class. I felt vulnerable, scared and exhausted as I concentrated to understand and then be understood. The tables turned, on me, today. But you know what, that’s no bad thing. My daughter is deaf. Like many deaf children she was born into a family of hearing parents. Being deafened post-lingually she talks. But she is most at ‘home’ with her deaf friends. They get her. Many many times since she went deaf, I have fought to be sure she has full access and treated equally in society. Today, I cried because I realize how much load this ten year old carries, just to get through the day with a smile, let alone understand and be understood. I’ve done deafness ‘simulations’ before and I thought I ‘got’ it. But today, I really got it. You know the best thing? When I cried, no-one judged me. No-one stopped me and said (or signed) “you can’t do it. I was welcomed, appreciated supported and encouraged. For that, I am truly blessed. You see, regardless of whether some form of ‘technology’ may help my Daughter now or in the future, she is Deaf. She speaks, she signs, she has choice. She’s Deaf and proud, and I am thankful she is growing in her own Deaf confidence. I am sure some people will say that I shouldn’t cry about this stuff, and definitely not in front of my kids. But they hugged me tonight and as I signed “I love you” to my Deaf daughter she said “I love you” back. My hearing daughter did the same. I need to be able to switch in the moment, just as they do daily. To see me struggle too helps them both know, life ain’t easy, but it sure is what you make of it. As I write this, again I cry. But tonight, they are happy tears. I know that my daughter has a community of support who get it much more than me. I too value the friendship and welcome. My hearing daughter also gets to see and play with other children who too have deaf brothers and sisters and that’s cool too. To everyone that hesitates to get involved in the “Deaf” community, I offer these words of encouragement. Do it! Let your kids have choice. I know we are all stronger together – Deaf & Hearing. For that, tonight, I give thanks. “Hands wave”. In case you are wondering, I’ve also made a note to myself. I must NOT cry at the next event! “Well, it looks like he has Down syndrome”, said a medical professional I hadn’t met before. With Apgar scores of 2 then 5, no one was dancing in the delivery room. Well except for me, in my mind anyway. 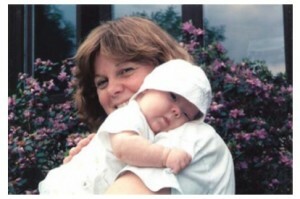 When I attended my first support group for babies born with Down syndrome, I was told “at least we have a diagnosis from birth that we can work with”. Really? Little did I know that autism, silent aspirator, hypotonia and hard of hearing would all follow as his little life began. At a year old, Chad’s special education teacher suggested we learn sign language. I remember her teaching him the sign for ‘more’ using a musical top. He learned the sign after three or four introductions because it meant more spinning and music from the toy. The teacher didn’t provide any further sign language lessons or instructions. My sister had a book on signs tucked away with her old college textbooks. She pulled it out and as best I could, we began learning ASL on our own. Where to start? I thought since kids like animals, I’d start with that. My son would learn five to six signs every weekend – not bad since as a single parent, I was working 40 hours per week. He remembered the signs and before long, he was relying on them for his main mode of communication. This began to present a problem however. I noticed that if someone didn’t have signing skills, he wanted nothing to do with them. This brought about horrible behaviors if he wanted to communicate something and wasn’t understood. I suffered two black eyes, a bloody lip, holes in the walls, a broken window, etc, too numerous to mention. I was learning how important communication for a non-verbal baby is! 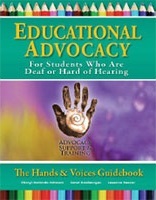 I started asking for caregivers with ASL skills and found one or two between personal care attendants and educators. Whenever I could match him with someone he could communicate with, behaviors went away. But not many people knew the language. I decided to go back to school and finish my bachelor’s degree. With a sales background, I thought I would get my degree in marketing. As the bachelor program was coming to completion, I was struggling with my son’s school to give him language. It was nine months of regular meetings, I developed an ulcer and I am sure I wasn’t the only person who fell ill that year. The school suggested a communication device or using Picture Exchange Communication (PEC) system. For the most part, Chad rejected these and preferred the spontaneity of ASL. My frustration was so great that I decided I didn’t want any parent to go through what I did with language development. I wanted to give parents a tool they could use starting at birth and would put them in charge of language learning. I decided to somehow use this as my marketing project for my degree. After a lot of research on babies, literacy and language, I created Talking with Baby and the first book, Come Sign with Us, the Adventures of Potts and Friends was written. (Potts was the nickname I had given my son) The book won a Mom’s Choice Award for educational products in 2010. Despite a slow start, my son had 400 signs by 4th grade, learned another 200 before entering 7th grade. We know he has well over 1000 signs today. Learning ASL has given my son language and confidence. and I’ve never seen him so happy. We love ASL. “We will teach you all that we know. You will teach us more than we know.” I reread these lines from a welcoming prayer I had written to my first granddaughter for her birth, as I tucked in both of my precious little girls this past new year’s eve. We were tending to them that night so their mom and dad could go out on a date. As the year turned the final corner and a new one loomed ahead, I gave pause and thought about the true depth of what these words had come to mean for me. Our first granddaughter, Ashlin, was born in a very successful water-birth, We had the honor of being present for that miracle. Both mama and baby were fine, healthy and robust. We even photographed the truly exceptional moment when Ashlin actually reached up towards her father’s face, as he leaned in to say hello to his new daughter. Our son, Walker, and his beautiful wife, Helen, had made us grandparents at long last! We were ecstatic! Ashlin was such a sweet little baby, so happy, responsive, so loved. I remember bowing over her and talking to her and hearing hear laugh and smile up at me. As she grew, her sweet demeanor remained. Time went by and yet she hadn’t spoken a word. She was nearly two and not talking yet. My son and I were convinced she would speak up when she was good and ready to do it, on her own timeframe. I guess, looking back, we were in denial, however, my husband and Helen had some concerns. One day at her doctor’s appointment it was suggested that hearing tests be done. The result of the test told us that Ashlin was profoundly deaf. It was the most shocking and devastating news I had ever heard. There was no family history of deafness that we knew of, nothing to help us understand how this could be. We reeled with the news, passing through the stages of grief, loss, confusion like moving through heavy water. 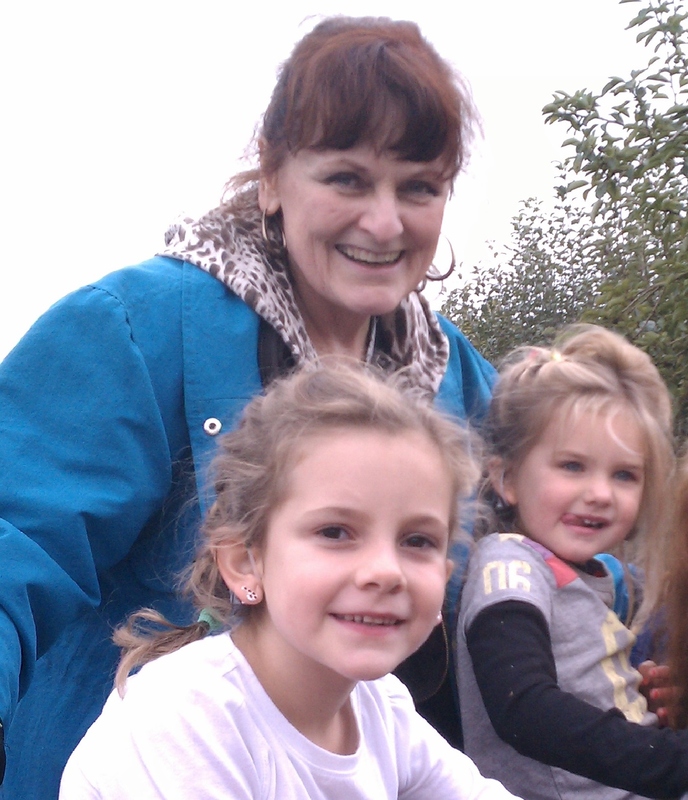 How would my beautiful granddaughter ever hear the rich beauty of music, so dear to my heart? How would she know the sounds of nature and life? How would she communicate with us? How could she ever hear the words “I love you”? Then the family had to move into action to find out what we could do. This was a fact of life for us and we simply had to move ahead. Helen and Walker began a search into all of the options which might be pursued. We all learned so much. They told us about an incredible procedure called cochlear implants. I had never heard of this. It took me some time to come to accept it, as I was concerned about the potential dangers to Ashlin. Through the help of a friend, I found a family whose young son had been implanted. That family was gracious enough to meet with me and let me ask questions of the father and son. It really helped me to go down the path of cochlear implantation. I fully understood that I was just the Nana and it was not my decision to make, but I desperately wanted to believe it was the right thing to do. The day came when Ashlin, just barely two years of age, got her first implant. It was so hard to see that little baby girl being carried off into the operating room. The family waited in agonizing tension for her return from surgery. I filler the air with my quiet prayers for her, asking that she come back to us; asking for her protection. At last she came out. The poor thing looked like she had been hit by a truck. But, after a while her little spirit awakened and she was with us again. Our second beautiful granddaughter, Mikaylin, was born in another successful water-birth. We all held our breath wondering if she too would be deaf. This time testing was done early on. We awaited the results with stilled hearts. The answer came back that she was, indeed, deaf. How could this be? Again, we were thrown into sadness. And yet, this time we had more hope. 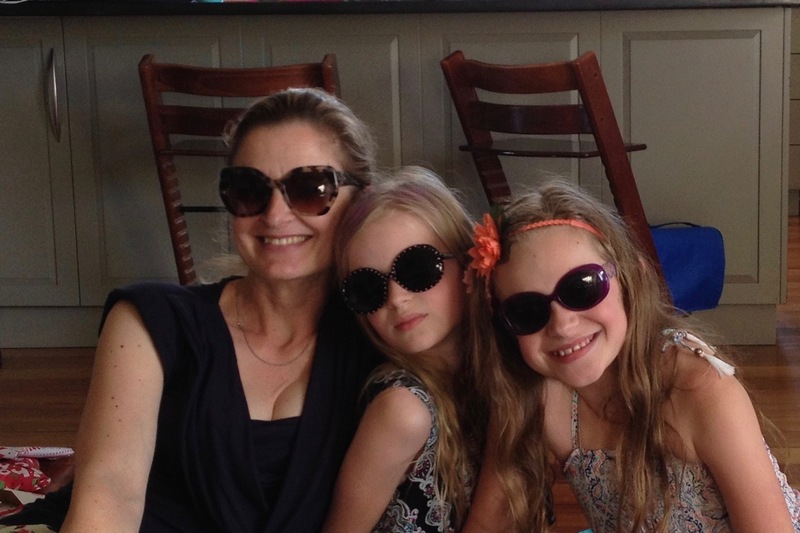 We knew there was a way for her to hear; and she had an older sister who was thriving. Mikaylin had her first implant surgery when she was 10 months old. I’ll tell you, it doesn’t get any easier to see a second baby girl carried off to the operating room. The prayers were every bit as strong for her. Even though we had been through this before, twice, it was still so hard. 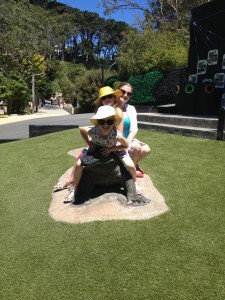 But, Mikaylin bounced back from her surgery very quickly and she was in full force very soon. I think, honestly, that it is a blessing that both girls are deaf. Both now have bilateral cochlear implants. They share a bond that none of us can even fully fathom as hearing adults. They will always have this bond. Their relationship will always be strong and magical. Both of our beautiful granddaughters are strong, healthy, and smart. They love to dance and sing. Their speech is clear and their diction as good as, or better than, hearing kids of the same age. They have been going to school since age three and had lots of special training from a wonderful school, They are now even learning sign language, which pleases me immensely. I hope that they will master several languages in their lives. The girls have bright futures with unlimited possibilities.